If you're looking for tips on how to rent out a house, you've come to the right place. 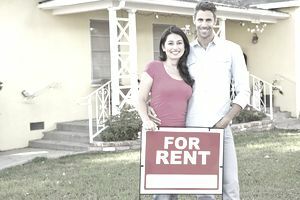 Is renting out your house a good idea? Probably. There are plenty of valid reasons to rent out a house. Some homeowners decide to rent houses because they don't need to sell in order to buy another. Others want an investment, and renting out the house might have been their plan when they bought the house. Still, other homeowners might be forced to rent out a house because they must move and cannot yet sell. Maybe these homeowners were transferred by an employer and realized they can't sell their house because the market is not conducive to home selling. For example, sellers of underwater homes might prefer not to do a short sale and may elect to try to ride out the market by renting out their home. Whatever the reason for renting out a house, not every seller knows how to do it. When I bought another home in the early 1990s, I rented out my existing house. I had bought a home for $100 down and assumed an existing mortgage. The loan assumption costs were so low that I could keep my existing house instead of selling it. Probably the biggest mistake I made was not running a credit report on the prospective tenants. I gave them a rental application and told them I would run a credit report. I warned that if they had any derogatory credit perhaps they should explain those credit dings to me in advance. In theory, that practice should work. Tenants would tell me about a late payment they made 5 years ago to Sears. Maybe I didn't need an actual credit report? But tenants also can lie. Therefore, I do not recommend that approach. My first tenants signed a rental application containing verbiage that obligated the tenants upon approval of their application to sign a rental agreement. I approved them, and they refused to sign a rental agreement. I took them to Small Claims Court and won a judgment, which I enforced. I no longer use such a rental application as such a form is most likely not legal anymore. If this information is too time consuming to gather or too difficult to obtain and verify, a homeowner might want to contract with a professional management company. Management companies typically charge 8% to 10% of the monthly rent, but they will do all the work on behalf of the homeowner. Moreover, there will be state and federal laws to follow. For example, all homeowners must comply with the Fair Housing Act. In addition, there might be county ordinances to adhere to and city fees to pay. A local real estate agent might be your best source to get recommendations for property management companies. Tip: If you're handling your own rental, you might want to sneak a peek at the tenant's automobile. It is clean and in good condition? Or beat up and trashed? That could be an indication of how the tenant will maintain your rental house. Nobody wants to end up evicting a tenant.